Jordan (Halle Berry) is a 911 call centre operator, she is very good at her job, gets along with her peers and is dating a local police officer. She takes a 911 call from a young girl whose house is currently being broken in to, after telling the girl to find a room, lock herself in it and hide, the call drops out. This is when Jordan makes a grave mistake, she hits re-dial and phones the girl back, this gives the intruder the girls location and costs her her life. Flash forward 6 months and Jordon is no longer an operator, but a teacher of want to be call centre operators. That is of course, until a call comes through from Casey Welson (Abigail Breslin) who has just been abducted and has managed to call 911 from the boot of the car she is trapped in! The film actually has some genuinely tense moments during this race against the clock as the police frantically try and track down the car, but alas the tension is short lived and the film takes a harsh nose dive into the pit of stupidity and absurdity. Clearly not content with continuing the downward spiral of her own career, Halle Berry has decided to try and take a piece of Hollywood's youth with her....Oh to have been a fly on the wall when Abigail Breslin's manager called to tell her of an awesome project he thinks she should do! To her credit, director Brad Anderson has done some fairly decent work over the years with films like The Machinist, Transiberian and Session 9, not to mention his many TV works, but here we are presented with the bulk standard cliche serial killer thriller. A movie that you will be spending far too much time yelling at the stupidity of the characters on screen than actually caring about them. And one for which Halle Berry must exude every facial expression in her repertoire in reaction to events unfolding countless miles from her location and via telephone hook up! On the whole, the film is not awful, it is just exactly what you would expect it to be. 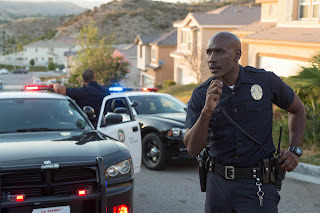 Speaking of which, I would normally provide a trailer for the film reviewed at the bottom of this post, however the trailer for the call takes the unusual step of presenting you with the entire plot of the film, ending and all. So if you did have any thought of seeing the film, don't watch the trailer, however if you are a busy person with nary 94 minutes free in your life, you could always just watch the trailer and be content that is it possibly the most tense 2 and half minute film you will see in a while!